I’m reading the sentence again, trying to ensure that what I’ve written is both what I mean and what I hope the person reading it will think I mean. I consider adding a smiley face to the end of the sentence, hoping to convey a sense of, what, playfulness? I delete it. I change a word here, a word there. I go to a meeting, and when I return, I add a greeting to the email. I delete a whole paragraph and replace it with bullet points to make it easier to read. I bold the part I need action on. I change the subject line. I push send. And I wait, hoping I’ve been clear enough to get the response I need. I’m reading the sentence again, saying it with a different tone in my head. Maybe that’s what she meant? “Wait,” I think, and check the bottom of the email – “Sent from my iPhone” – magical words that suggest brevity should only be presumed to mean that the sender doesn’t have a lot of time. I’m reading the sentence again. It literally doesn’t make sense. I replace a few words with other words, like “it” for “is”, or I add a comma or a period. Ah ha – clarity! However, now I’m frustrated because I had to work so hard to understand the message, and it’s as though the writer didn’t work hard to ensure their message was understandable. Communication is key to leadership – most theories and practices emphasize the importance of being able to clearly communicate with others. Often, I think this is assumed to mean face-to-face, verbal communication – facilitating meetings, giving speeches, engaging in conversations. Sometimes, I think we have forgotten that writing is a form of communication – and one that we do often to get things done – whether socially or professionally. Consider all the emails, text messages, social media updates, and documents you write. It’s astounding! Most of my work is done by email, both personally and professionally (email is not dead, it’s actually evolving). I get hundreds of emails a week that need to be read, responded to, forwarded, or filed. Not to mention the hundreds of emails I send, both to colleagues I know well and who sit at the desk next to me, and colleagues I don’t know at all. I send emails to family, friends, and students in the classes I’m teaching. I write training manuals, PowerPoint slides, and meeting agendas. I post on social media outlets. I’m writing this blog right now. 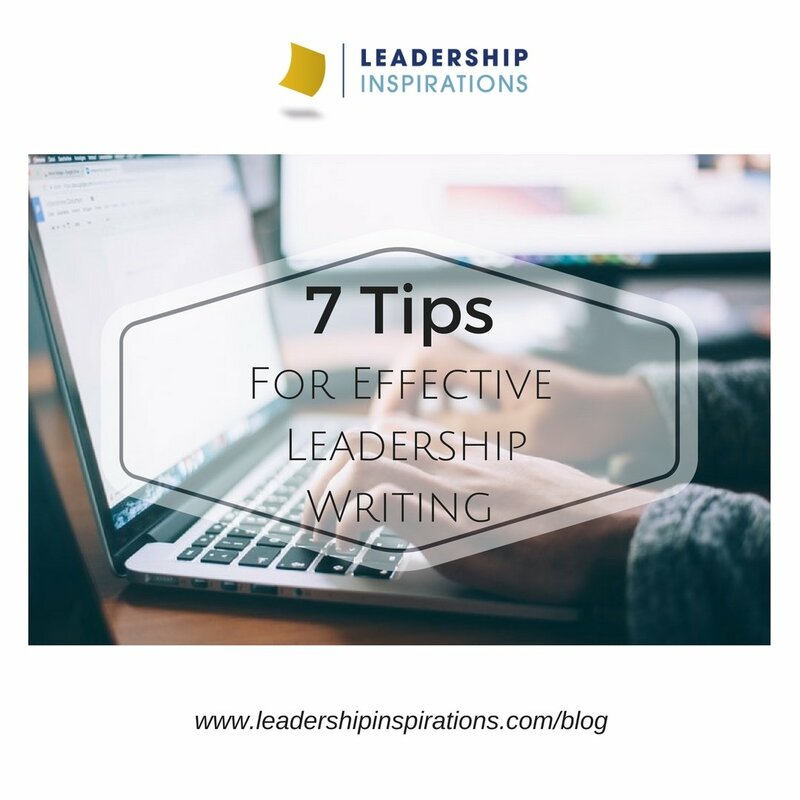 I get a lot of work done by writing, and I believe you can demonstrate effective leadership through effective writing. 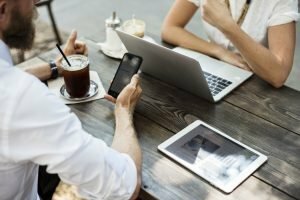 After working professionally for over 10 years, having written a master’s thesis and a dissertation, and, hundreds of thousands (millions probably) of words in emails, PowerPoints and training manuals, and having READ twice as many, here are my best tips for effective leadership writing. 1. Know the purpose of your writing, and convey that, directly or indirectly. 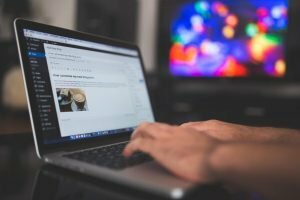 Why are you writing the piece you’re writing? Are you trying to inspire, influence, cajole, reprimand, inform…? The possibilities are nearly endless. The better you know what you are trying to accomplish through your writing, the clearer you can be. I find it helpful to write “The purpose of this note is…” or to have a “purpose” section of a document. Whether it stays in the final draft or not is not the point. Having a clear purpose helps you direct all your writing toward achieving that outcome. 2. Put the action up front. If you’re asking someone to do or say something – tell them that from the beginning. I have found I get more of what I am asking for if I clearly outline the call to action first and provide the background or rationale as a follow-up. Some people don’t need to know why you need a thing done, they trust you to know that you wouldn’t ask if you didn’t think it was important. Others do need the rationale, but they want to know what the ask is first. 3. Use the right vehicle for your audience, not for you. Using the right vehicle for your audience demonstrates that you took time to understand them and their needs, and that you respect them enough to meet them where they are. People are more likely to do what you ask in your communication if it is framed conveniently for them. If your audience prefers a one-page summary of a proposal and you come with a 30-slide PowerPoint deck, you may lose their interest, and not get what you need. At the risk of sounding stuck in my ways, if I send someone an email asking them to respond via email, and they text me, I’m going to email them back. There are two reasons for this: I want all my communications on a subject to be grouped together and because that is what I asked. 4. Adapt your writing style to your audience and vehicle, while maintaining your personal style and voice. I know this is going to seem obvious, but a text message to your friend is very different than a text message to your supervisor or your teacher. Likewise, a text message is very different from an email. 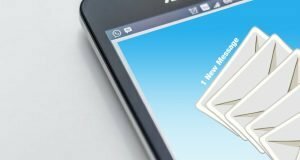 There are some niceties that we observe when sending an email that we don’t observe when we send text messages – such as salutations, closings, full sentences… things like that. It’s okay to shorten words in text messages, less so in emails. As you are considering why you are writing, what you are asking of your audience, and what vehicle to use, also consider the words you use, the tone you convey and length of the message. You may choose a word like “greeting” instead of “salutation” or “you are” instead of “you’re” depending on the audience. All that said, it’s also important to convey your personal style. I try to convey my excitement or passion using exclamation points or emoticons (sparingly, and rarely in a professional setting). Find your voice and use it, while also recognizing that you will get more of what you want and need by figuring out how your audience will process your message. 5. Use formatting to help you, but don’t overuse it. I had a colleague who always used yellow highlights to indicate the action that was required. She did not use any other emphases, like bold, italics or underline. When I would send her something with a sentence bold and italicized (one of my favorite ways to emphasize a point, and sometimes in color too! ), she would gently remind me to choose one as to not overdo it. The key is that you use your formatting consistently. Put all your headings in one format and your call to action in another. Be careful not to use too much formatting or your reader will not be able to distinguish between what is important and what is not. 6. Use spell check and grammar check, every single time. When you don’t check your spelling and grammar, your writing can be confusing, and your reader has to work harder to understand what you mean. It can also give the impression of incompetence or indifference, neither will help you get whatever it is that you want. Deep breath, Kenna. Rant over. Turn your spell check and grammar check on automatically on the various programs you use. Microsoft Office or Grammarly have helpful options. Many email clients can be set to check the spelling before sending. Turn those on. Don’t ignore the red, green or blue squiggly lines! However, that may not always work. For an important message, read it out loud to ensure it makes sense, or ask a trusted friend or colleague to provide feedback. Sometimes, I read an email on my phone and am not able to reply, but then I forget that I need to respond when I return to my desk. If the person who sent me the message doesn’t follow up, I may not realize I haven’t responded for several days. Make sure to re-mark those messages as “unread” or open a draft email that you can return to at a more convenient time. 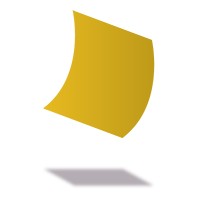 This will help eliminate the possibility of messages being lost. If you ask someone to respond to a request by a certain date and they don’t, you have the right to follow up. Don’t assume that no response means “no,” follow up with a simple question or a reminder. Many of these tips may seem obvious, but the story that I shared at the beginning of this post is a true one (and I have many more like it). Poor writing might just result in an instance of miscommunication but it could also hamper your career. Now, you certainly don’t have to be a “wordsmith” or literary genius to be effective in your written communication. But, just like public speaking or interview skills, effective written communication is a skill that must be learned and practiced. These seven tips are a great start, and while the examples in this piece are primarily about email communication, they can be applied to various types of written communication. Ultimately, your writing is one reflection of you, so put your best self forward! The next time you write something, anything, use these tips as a guide for creating and editing! Practice when writing an email, editing your resume, drafting an essay, or creating a presentation. Every time you write something is an opportunity to improve. Kenna’s life work is about helping people work better together – and she’s starting to realize that this is not just professional work but personal too! 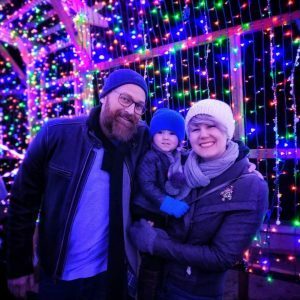 Kenna fills her time with meaningful relationships with her husband of 11 years, 2 year old daughter, incredible family & friends and significant work at City of Hope, Alliant International University and Leadership Inspirations while carving time for herself.